Welcome to jump scare central.....those with a nervous disposition leave now! The film begins in 1997 with a deputy responding to a call when he arrives at the house things are definitely not ok. There is blood all over the inside of the house, upon investigating he finds a young woman who is freaking out and tells the deputy they must get out. On their way out of the house a priest falls from the ceiling hanging from a homemade noose. Later the rest of the response team arrives and they find lots of blood but the family that was supposed to be living there has just vanished leaving everyone puzzled. 17 years later a new family moves into the house much to the shock of the town. A single mother and her young son who is unable to speak move in, apparently they are unaware of the houses history. The mother is looking for some help for her son Adrian and she gets that help in the form of Angela (Jodelle Ferland) a young girl desperate to earn some money as her father can't get work. As she helps Adrian she gets more and more worried about being in the house after all the stories she has heard about the place. Soon her worries are confirmed as things start happening in the house that can't be explained and Adrian becomes more anxious with his time there. To add more tension to the already stressful situation the local drug users have stashed their drugs in the basement of the house, after all who in their right mind would move into this house, its also a good place to stash it as the police won't search there. They soon come looking for their drugs leaving us with a showdown between the three drug users, Angela and Adrian who is surprisingly more helpful then you would first think. 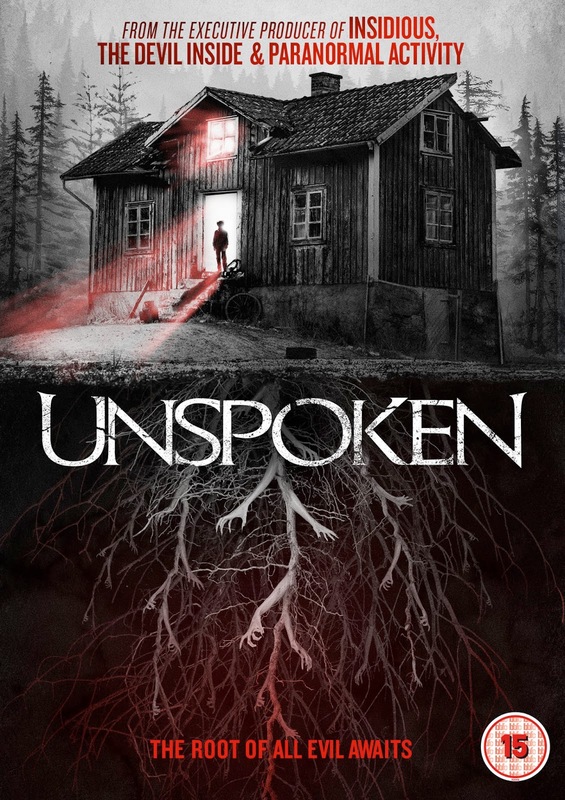 As I mentioned this film is full of jump scares some effective some not so much but what makes this haunted house thriller different is most of the jump scares happen during the day. There is a great effect with a dead dog and a creepy handyman that has to be seen and is definitely in the film to add shock value, also gets rid of the handyman in a great way. The casting choices are great, I especially enjoyed Jodelle Ferland as Angela who holds the film together with her reactions. The director Sheldon Wilson has made a fair few films himself already ('SHARK KILLER', 'KAW' 'SCREAMERS: THE HUNTING') so he knows what he is doing and he has certainly made an effective haunted house thriller here. I won't mention how the film ends but I will say that the house isn't far from another famous town.....Amityville.